MERCEDES EDITH CORREA VALDRIZ Age 86, of Waipahu, HI, passed away August 24, 2015 in Honolulu, HI. Born September 30, 1928 in Honolulu. 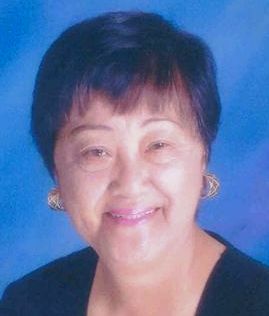 She was a retired docent from the Waipahu Plantation Village. She is survived by husband, Geronimo Valdriz, Sr.; sons, Gregory (Dora) Valdriz, Geronimo (Verdine) Valdriz, Jr., Gilbert (Bonnie) Valdriz; brother, Jose "Joe" (Maxine) Correa; grandsons, Jared Valdriz, Jonathan Valdriz, Jerome (Cheryl) Valdriz, Sean Michael Valdriz; great-grand- sons, Caleb Valdriz, Ezra Valdriz. Visitation 6:00 p.m., Tuesday (Sept. 29) at Mililani Mortuary Mauka Chapel. Wake service 6:30 p.m. Visitation also 10:00 a.m., Wednesday (Sept. 30) at St. Joseph Church (94-675 Farrington Hwy., Waipahu). Mass 11:00 a.m. Burial to follow 12:30 p.m. at Mililani Memorial Park.